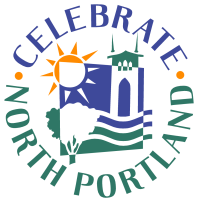 Join us for the 8th annual Celebrate North Portland event on Saturday, March 2nd from 5:00 p.m. to 8:30 p.m. 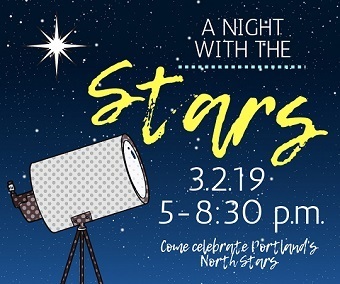 This year's theme, A Night with the Stars, is dedicated to recognizing all of the amazing individuals, organizations, and businesses that make North Portland such a great place to live and work. This event is a sit down dinner, featuring an awards ceremony and live entertainment. However, there is plenty of room to network with your friends and neighbors too! You are welcome to wear whatever you are most comfortable in, although many neighbors choose to dress up for the occasion. Is your organization interested in having an Info Booth at the event? You can sign up your organization or business by purchasing an "Info Booth" ticket on our Eventbrite page. We only have space for 10 info booth tables so sign up early!